Note: Only candidates possessing a valid GATE 2014 Score (in CS / ECE paper) along with the prescribed qualifications are eligible to apply. Selection Process: The GATE 2014 Score would be considered for placing the candidates in order of merit (in case two candidates have the same GATE 2014 score, then the one with the higher All India Rank would be placed higher in the order of merit; in case two candidates have the same GATE 2014 score and All India Rank, then the one with the earlier date of birth would be placed higher in the order of merit. In case of tie in date of birth also, candidate with higher marks/percentage in the qualifying examination will be placed higher in the order of merit). Candidates will be considered in this order of merit only. 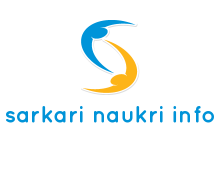 Application Fee: Rs.500/- (Application Fee) + Bank charges of Rs. 60/- for General/OBC-NCL candidates. There is no application fee for SC/ST/PWD candidates. The Fee should be deposited in CRIS's Account with State Bank of India after completing Step-1 of the registration process. The candidates must deposit the requisite fee before attempting to fill the Step-2 of the online application unless they are exempted from depositing the fee. Service Agreement Bond:The Selected will be required to execute a service agreement bond of Rs.100000. Posting: The Selected candidates could be posted at CRIS Headquarters in New Delhi or at any of the regional Offices at New Delhi, Kolkata, Mumbai, Chennai, and Secunderabad (hyderabad) or any project site in India, for specified duration as per the need and requirement of CRIS. Eligible Engineering Graduate Candidates Apply Online from 16/06/2014 to 06/07/2014 (Step-I Registration) and 15/07/2014 (Step-II Registration).